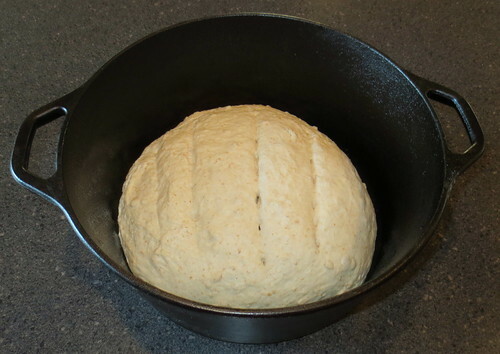 Making sourdough starter was the first step in baking my Dutch Oven sourdough bread. 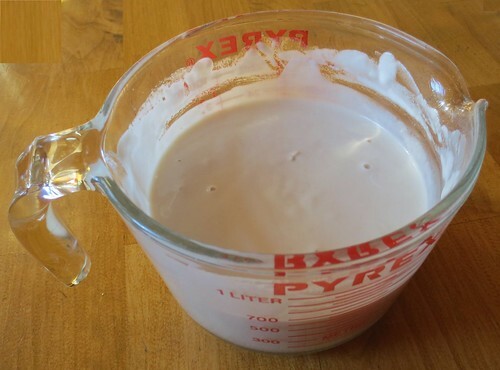 Follow the link and you can see how I made my own sourdough starter for my bread. Dough raised and ready to bake. I played around with several recipes to come up with my own version of Dutch Oven sourdough bread. 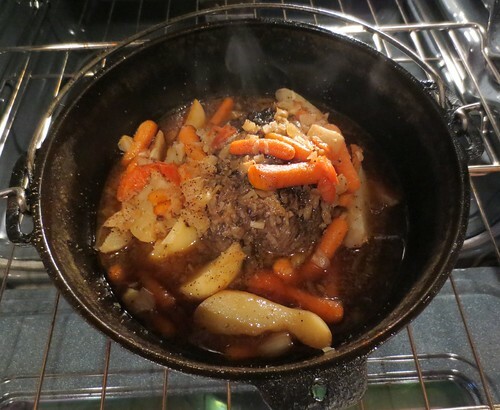 A heel roast isn’t the most tender cut of beef but it is very flavorful. 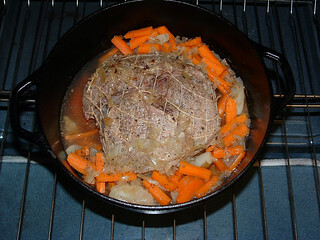 Roasting a heel roast in a Dutch Oven is a wonderful way to slow cook the beef and results in a wonderful tender meal. 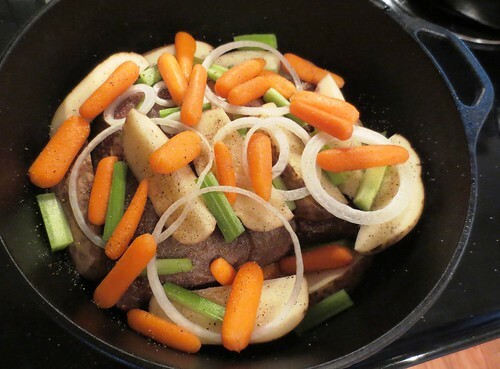 Add carrots and potatoes and you have a complete one pot tasty meal. 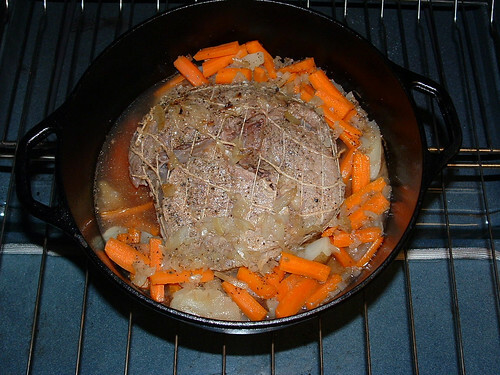 Here are the details on how I prepared and cooked my beef roast. Rub olive oil over roast. Sprinkle roast with desired spices. I used garlic, salt, pepper, seasoning salt, and sage. Rub the spices into the meat and place meat on cast iron trivet inside the Dutch Oven. Pour a small amount of beef broth over the meat and put it in a preheated oven at 425 degrees F for 15 minutes to sear the meat with the lid off. Add cut up carrots and potatoes around the meat. Top the veggies and the meat with diced onion. Pour the rest of the can of beef broth over the meat. Put the lid on the Dutch Oven and reduce oven heat to 325 degrees. Bake for 3 hours or until desired doneness. I did check the roast once at the 2-1/2 hour mark to baste it and I took the picture above. My meat wasn’t quite done so I left it for about another 20-30 minutes and then removed it from the oven. I let it set for about 15 minutes before serving. I used the juice reserves from the pot to make gravy to top off my meal. The results — A great meal of tender roast beef and tasty vegetables!